Real world advice for real world issues. Excellent client service is at the heart of everything we do. A lot of firms might say that, but for us, clients really do come first and we work hard to make sure they receive the level of service they expect – every time. We make it our business from the start to understand our clients’ businesses and objectives and work with them to make sure that our approach will deliver their goals. 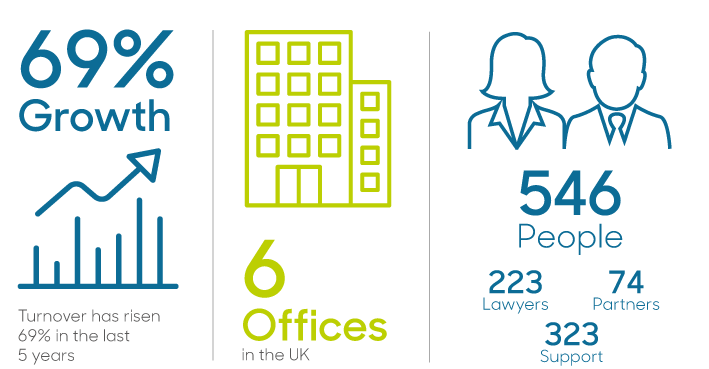 To ensure that our clients are at the forefront of everything we do, Ashfords has a dedicated Client Partner, who has overall responsibility for the quality of client service in the firm. Our Client Relationship Programme involves independent partners carrying out regular reviews with clients to find out what we’re doing right – and what we need to work on. We listen to our clients and work to resolve any issues that they raise, so they never happen again. Our clients and our people talk a lot about the culture of Ashfords and what makes it the place it is. Part of it is that we are not all the same. 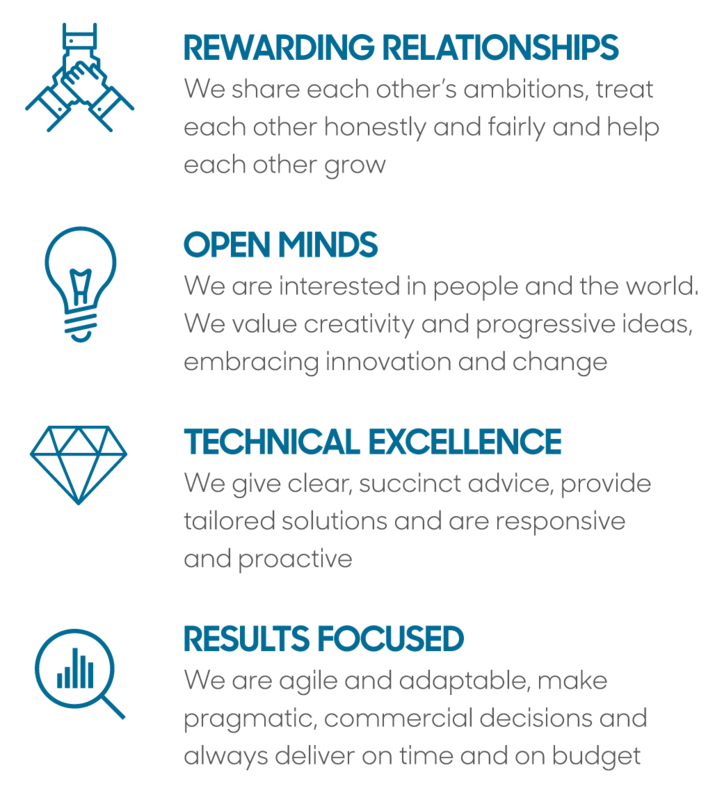 We are a rich mix of different backgrounds and personalities that bring diversity and creativity to the solutions we provide. But we are also clear that there are some things we all hold dear. Common values that guide “the way we do things around here”. Whilst we cherish our individuality and independence, anyone who works with us will detect these four values in everything we do and say. They underpin the relationships we form, the quality of our advice, the service we provide and the outcomes we help you achieve. In the financial year ending 30 April 2017 Ashfords reported Turnover of £40.6m, an increase of 13% on prior year. Ashfords Turnover has risen 69% in the last 5 years. Net Profit of £14.1m for the year to 30 April 2017 represents an increase of 15% on prior year. Our excellent top line growth combined with maintenance of operating margins, strong balance sheet and positive cash flows from operations continue to enable us to invest in ourselves and ultimately better serve our clients. Our priorities go beyond business and we believe passionately that our firm can be a force for good in the communities in which we work. We make sure our business behaviour encourages the growth and development of our communities and that we act responsibly towards the environment. We take our responsibility to the environment seriously. Activities include planting trees, reducing waste (we now send zero waste to landfill) and using local suppliers where possible. We also have our own beehive – protecting bees, producing honey and giving staff the chance to learn new skills in the process. We want to provide a positive and rewarding working environment for all employees. We do this through CSR initiatives including arranging staff discounts at local businesses, allowing staff to buy up to three days’ holiday each year and introducing a cycle scheme offering subsidised bikes. We actively contribute to the communities in which we work. For example, for the last three years we have asked all our teams to nominate a charity of the year, which has raised almost £300,000 for Mind, Parkinson’s UK and Alzheimer’s Society. National provider of legal and professional services Ashfords LLP, has announced its Charity of the Year for 2017 as Alzheimer's Society following a vote by the firm's employees. The firm will be fundraising for Alzheimer's Society until April 2018. Pleased to be sponsoring the Team Mi-space on our pedal pilgrimage to Amsterdam in aid of Prostate Cancer. They will be leaving London in June 2018 on the epic journey. To date they have raised £13k. Last year we sponsored the Exeter University woman's Football team. We will be continuing our support this year. Ashfords sponsor a wide range of events and initiatives each year. In the past 12 months we have supported community sports teams and athletes, local business groups, business and community awards, and community participation events. National law firm Ashfords is thrilled to announce their support for this year's Gromit Unleashed 2 trail in Bristol. Ashfords XYBC Group offers young professionals within the Exeter business community the opportunity to network and socialise. It runs various events throughout the year and has a mix of attendees from a range of professions. Ashfords is sponsoring 'Biggest success story' for the SPARKies awards. This award recognises the company, organisation, project or individual that really made the most of the last 12 months and saw a high level of success. TYBC (Taunton Young Business Club) runs various events throughout the year for members and has a mix of attendees from a range of professions. We are pleased to be one of the sponsors for the Devon County Show, as well as supporting the local school coach travel to the show. We are the gold sponsors of the Bristol Lord Mayor's Charity Gift Gala Dinner. The annual dinner is one of the main fundraisers organised by The Lord Mayor of Bristol’s Children Appeal to help the city’s most disadvantaged children. We work closely with Exeter City Football Club and FITC on a number of iniaitives including being programme. Ashfords is a long standing sponsor of the Mid Devon Show Members' Marquee. The Exeter Property Forum brings together property and construction industry professionals located in and around our thriving city, with the aim of encouraging networking, communication and business opportunities. We are delighted to announce the launch of The Ashfords Foundation, a grant making charity established in 2018 to bring together all of Ashfords’ charitable giving. The charity will be overseen by a Trustee Board who set the strategy and objectives and will monitor the effectiveness and award the grants made through our two grant programmes.